← ﻿Voila Another Frenchman who helped America behind the scenes during the Revolutionary War! Still Another Unsung Hero of the American Revolution! What a stunning surprise from this brave man who helped us! He was a French dramatist and a covert defender! Beaumarchais did not fit the mold at all. He was, therefore, never suspected as he carried on his undercover work to aid America~ Here is a little about him taken from p. 308 in my book from the section I call: Key Participants. 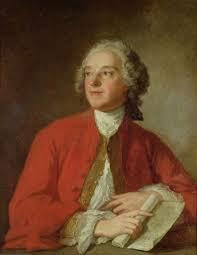 There is more on Beaumarchais on pages 36, 37, and 154. Enjoy! French dramatist who wrote The Barber of Seville and The Marriage of Figaro. He encouraged King Louis XVI to become involved in the American Revolution on the side of the colonists. On April 26, 1776, he learned of the king’s decision to aid the insurgents. He sent volunteers, munitions, and supplies covertly to America through the Rodrigue Hortalez Company. More in 3 weeks! Keep tuned to this station!